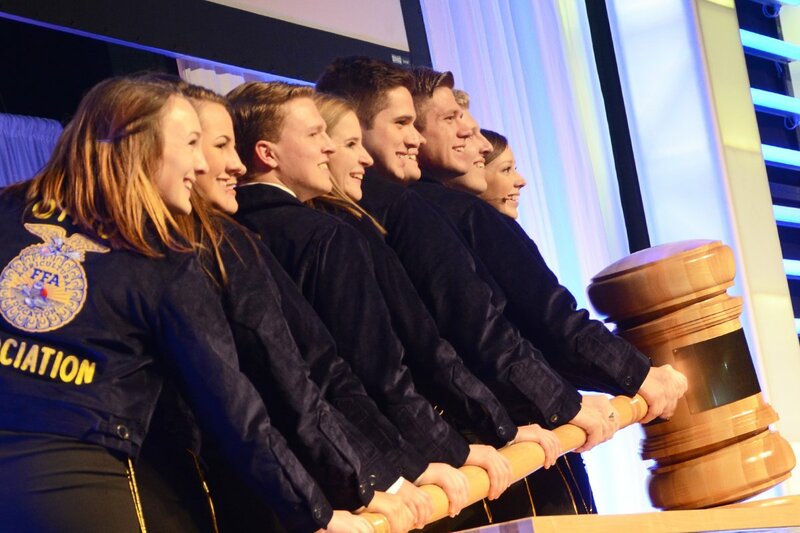 The Ohio Ag Net student reporters cover the highlights of Session #2 of the 2017 Ohio FFA State Convention. Proficiency winners, Honorary FFA Degree recipients, the Star State FFA Degrees, and the National Winners were recognized in this session. Guests also heard from Keynote Speaker Matt Rush. The Ohio Ag Net student reporters cover the highlights of Session #1 of the 2017 Ohio FFA State Convention. 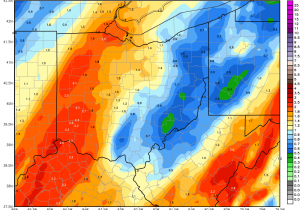 Ohio’s Country Journal and Ohio Ag Net is welcoming five student reporters that will be helping cover the 2017 Ohio FFA Convention May 4 and 5. Stay tuned for further convention coverage. Emily Bookless is a sophomore at Ridgewood High School located in West Lafayette. She enjoys playing soccer and loves to participate in school clubs such as STATS and FCA. She has been affiliated with FFA for two years now and is currently serving as reporter for the Ridgewood FFA Chapter. She likes CDEs such as Parliamentary Procedure, Ag Sales, and Livestock Judging. Outside of school, she shows hogs and llamas. She is also involved with the Kamelid Kushers 4-H Club and the Coshocton County Junior Fair Board. 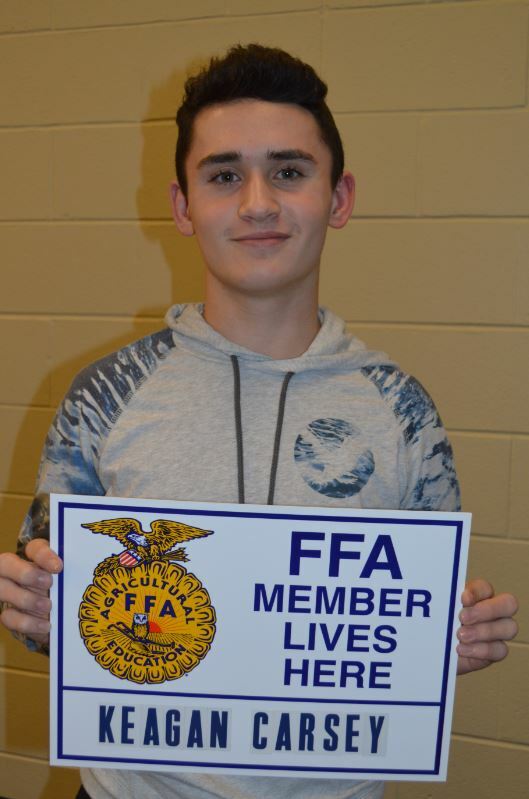 Kolt Buchenroth is a senior in the Kenton-OHP FFA Chapter and has served as the reporter, president, and is currently the vice president of his chapter. He is also active in 4-H, student council, National Honor Society, and various other school organizations. 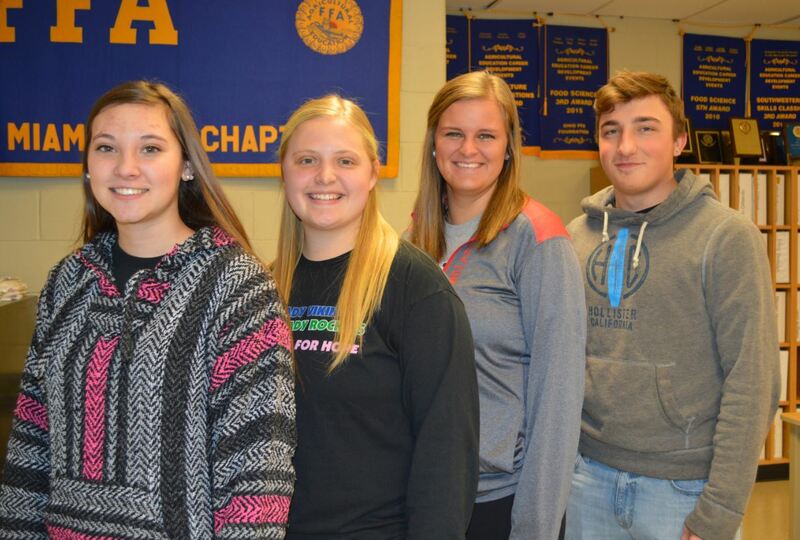 On Monday, April 3rd, the Anthony Wayne FFA Chapter held their annual banquet at Nazareth Hall. At the banquet, members and guests enjoyed a delicious dinner. Following dinner, multiple members received pins to place on their jacket for their participation in CDEs (Career Development Events). 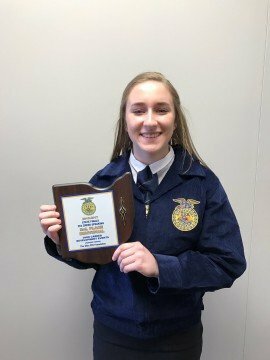 Additionally, the Les Disher Leadership Award is one of the highest honors that the Anthony Wayne FFA Chapter bestows on its members, and this year Marleigh Kerr received the award. At the end of the banquet, the 2016-2017 officer team gave Mrs. Short and Mrs. Bockbrader a gift, and the 2017-2108 officer team was installed. 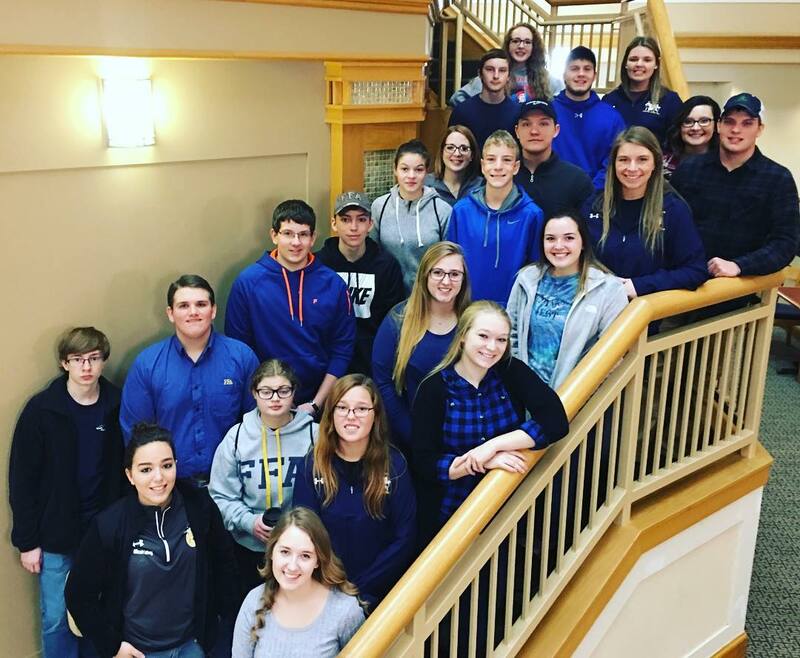 Members of the Mowrystown FFA chapter recently traveled to Columbus to participate in state dairy juding as well as the state dairy handlers contest. 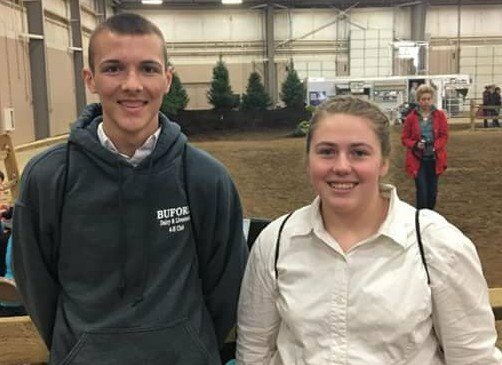 Our high school judging team placed 23rd in the state, the middle school team placed 1st in the state, Audrey Ferguson placed 1st in dairy handlers, and Atlee Carr was 3rd. Audrey will move on to the national contest and Atlee will go to the Big E this fall. The 2017 Ohio FFA State Convention is almost here. 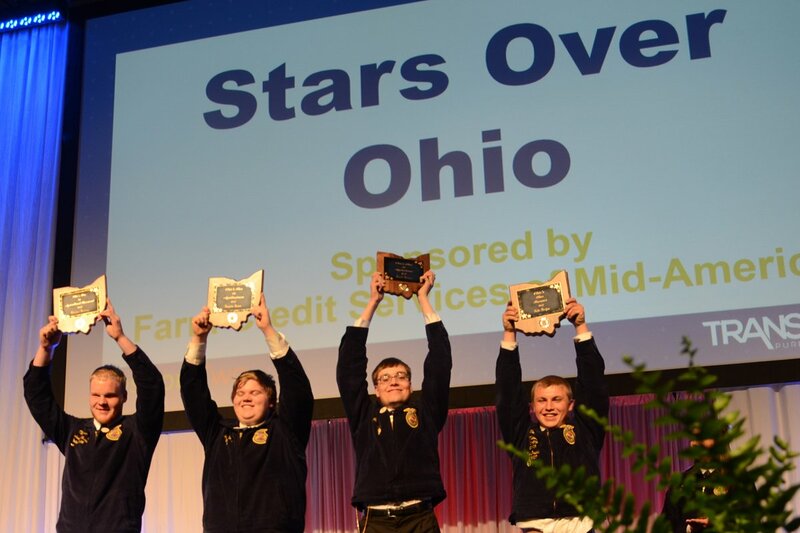 Ohio’s Country Journal and Ohio Ag Net is on the search for three outstanding Ohio FFA members to help serve as student reporters for this year’s event. You’ll get the opportunity to help cover the convention and work alongside our news staff that includes Matt Reese, Dale Minyo and Ty Higgins. Ever wonder what it’s like to do our job? Here’s your chance! 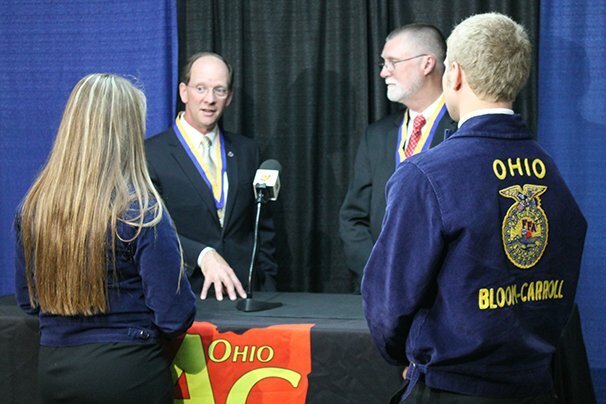 The live coverage of the Ohio FFA Convention will be posted on www.ocj.com and various social media outlets. Student Reporters will assist in gathering information, shoot video of newsworthy items and people, share their commentary of what happened in each session through a video recap and much more. 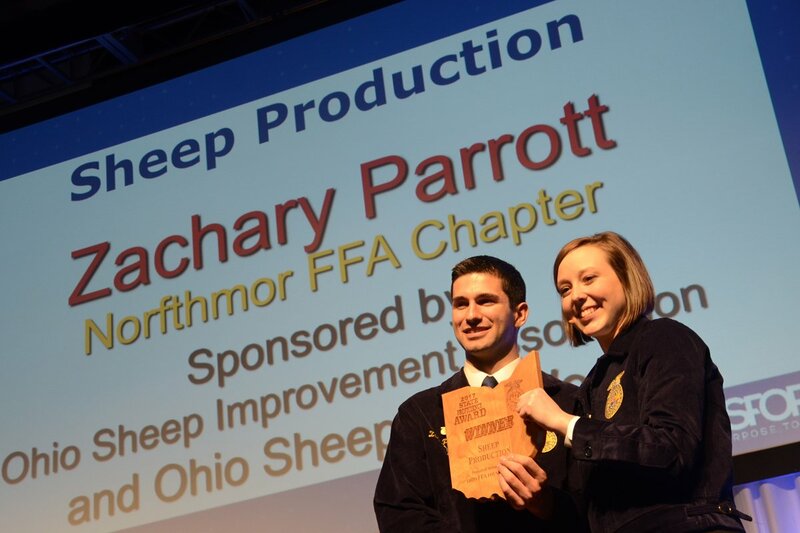 Applicants must be attending both days of the Ohio FFA State Convention May 4and 5. Submit a video sharing your qualifications and why you should be selected. On March 3rd, 2017, Creed Speaking and Tractor Trouble Shooting CDE teams competed. Alyse Looney represented the Liberty Union FFA for the Creed Speaking at the state level and received 3rd place in the state. In Tractor Trouble Shooting, Avery Miller and Garret Wiley placed 10th in the state. Overall, both teams placed well and did an excellent job. 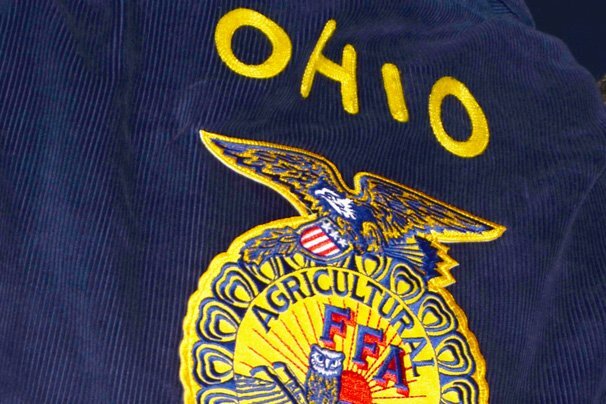 The State FFA Evaluations were recently held at the Ohio FFA Center in Columbus, Ohio. Several members of the Miami East-MVCTC FFA Chapter competed in various competitions. Members became eligible for State Evaluations by placing at District Evaluations in February. 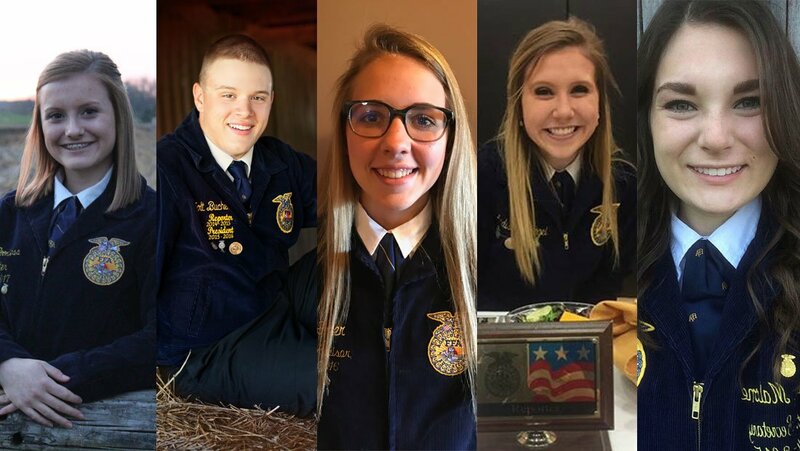 American FFA Degree – Emily Beal, Daniel Everett, Stephanie Millhouse, Levi Reid and Hunter Sharp, graduates of Miami East High School, submitted an application to receive the American FFA Degree. Their applications were approved and will be submitted to the National FFA Organization for review. They will receive their degree at the National FFA Convention in October in Indianapolis, IN. State FFA Degrees – Junior Alex DiNardo, and seniors Katie Bodenmiler, Carly Gump, and Alyssa Westgerdes submitted applications to receive the State FFA Degree. Their applications were approved, and they will receive their Degrees in May at the State FFA Convention in Columbus. Proficiency Awards – Members applied for a district and state proficiency award. Fort Recovery FFA Chapter held a truck and tractor drive-in to help promote agriculture and the National FFA Organization during National FFA Week last week. 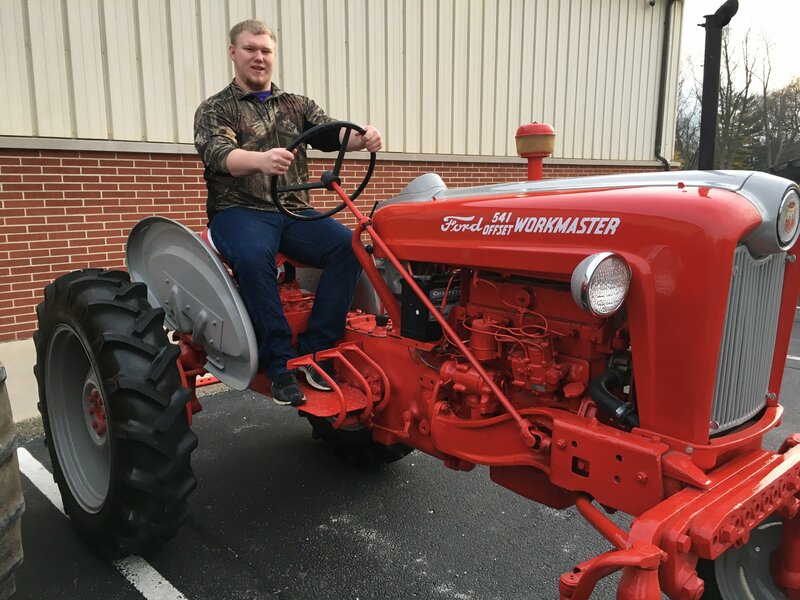 24 FFA members drove in tractors to win a number of awards. The award for the biggest went to Cole Bergman, and smallest was won by Luke Klingshirn. Rick Knapke won the award for oldest and Jay Brown won newest. Josh Homan received the award for cleanest, while best restored went to Chris Link. The most hours award went to Adam Schoenlein. 28 FFA members also drove in trucks. Clint Metzger won the award for loudest and Gabe Grieshop received the award for cleanest. Sydney Alig won the award for newest and Taylor Thien won oldest. The award for most miles went to Taylor Post and the dirtiest award went to Joey O’Connor. All winners received a trophy at the close of FFA Week. The Fort Recovery FFA Chapter held its Greenhand FFA Degree Ceremony during January regularly scheduled monthly chapter meeting. The Greenhand FFA Degree was awarded to 37 first-year members enrolled in an Agricultural class. The Greenhand FFA Degree is the 1st degree that an FFA member can receive and requires members to demonstrate knowledge of FFA history, the FFA Creed, FFA motto, as well as have satisfactory plans for a Supervised Agricultural Experience Program. The Fort Recovery FFA program continues to be a very popular program for many, boasting 129 in total membership. Fort Recovery FFA members learn about the vast agricultural industry to include animal, plant, and soil sciences, leadership and communication skills, business, technology, and engineering, as well as woodworking and metal working shop skills that allow students to gain knowledge and confidence while taking pride in their work. This year’s recipients include freshmen Jacob Acheson, Morgan Alt, Cole Bergman, Kayla Briner, Jay Brown, Riley Dilworth, Claire Evers, Garret Faller, Kurt Fisher, Michael Fritz, Jon Green, Ian Homan, Mitchell Huntsman, Claudia Jones, Kenzie Kaiser, Eli Keller, Luke Klingshirn, Brooke Knapke, John Knapke, Troy Kunk, Caleb Lennartz, Walker Leuthold, Ramsey Leverette, Katelin O’Connor, Riley Pearson, Riley Post, Mitchell Pugh, Dylan Ranly, Cole Schmitt, Jason Siefring, Rachel Thien, Jared Timmerman, Kegan Timmerman, Paige Timmerman, Derek Wendel, Lydia Wenning, and Evan Westgerdes. The February 2017 Miami East-MVCTC FFA Member of the Month is Keagan Carsey. Keagan is the son of Ryan and Casandra Carsey of Troy. Keagan is a sophomore at Miami East High School and a second year agriculture student enrolled in Plant and Animal Sciences. Keagan was chosen for his participation in the County Public Speaking Career Development in the area of Extemporaneous Public Speaking. 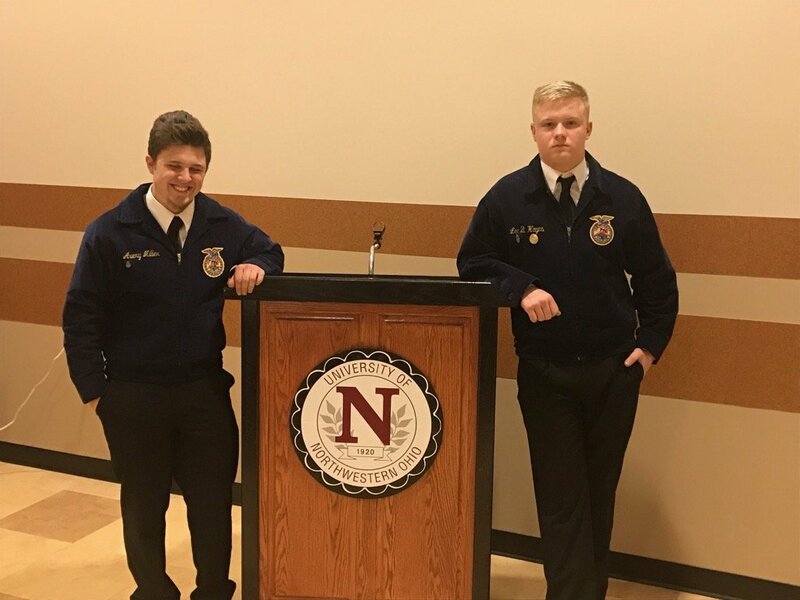 Keagan will compete at the upcoming event by randomly choosing an agriculture topic from a list of agriculture issues, preparing a speech in just 30 minutes, then presenting and answering questions. Keagan also attended the National FFA Convention and was the 2016 Miami County Fair King. Keagan’s Supervised Agricultural Experience includes raising goats, shoring them, and marketing their fiber and a blacksmithing business in which he makes and markets metal works. Every month of the school year the Miami East-MVCTC FFA will select a student to be the FFA Member of the Month. At the January FFA Meeting the Miami East-MVCTC FFA Chapter held its annual Chili Cook-Off Competition. Members were given the challenge of working in teams to create a chili to submit to the judges for evaluation. They had to provide their recipe and were evaluated on taste. Winners of the competition included two categories. The Judges Choice Winner was a tie between the team of Aliegha Ulsh and Blake Snyder with their bean-based red chili and Ashley Hawkins and Bailey Buck with their tomato based chili. The People’s Choice Winner was Emma Linn and Alex Isbrandt with their stewed tomato chili. Additional contest participants included Jessica Copeland, Zach and Colton Kowalak and Carly Gump. All winning teams and participants received an FFA T-Shirt . Judges for the event were the Miami East High School custodial staff of Les Kinder, Richard Hague and Hannah Ivey. 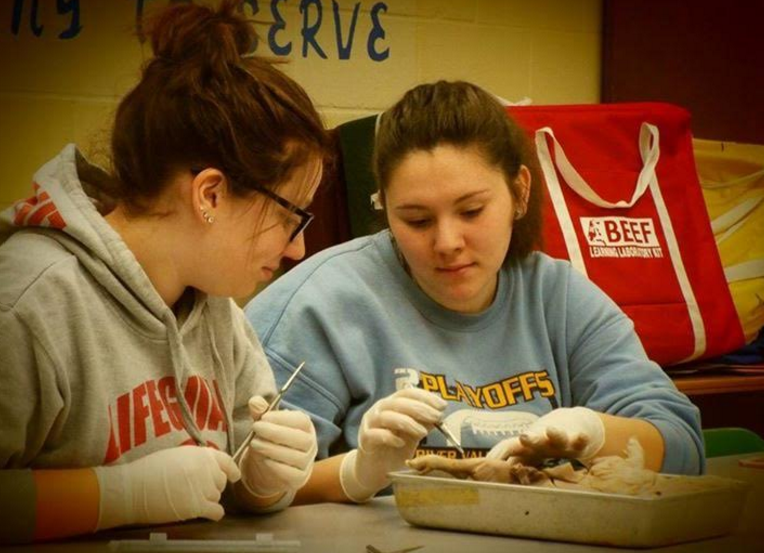 Students of the Ridgedale FFA have been hard at work in recent weeks learning biology hands-on — through the dissection of pigs. The classes started on January 13th and finished with an oral quiz over what was learned on January 20th. Everyone was timid at first but as we got started they really enjoyed the time spent dissecting pigs. This project was a great experience for all of the students to learn and understand how the pig’s body functions. Students from FFA chapters across Ohio recently attended the 212o and 360° Leadership Conferences. These conferences are an activity of the National FFA Organization made possible by title sponsor Syngenta. 23 students from the Zane Trace FFA Chapter attended the event January 14-15, 2017 in Dublin, OH. 212° – the temperature at which water boils – focuses on taking students to the boiling point of leadership. At 211° water is extremely hot, but just one more degree gets us to the next level. The two-day 212o Leadership Conference is focused on student development and helps FFA members become aware of their passions and virtues. 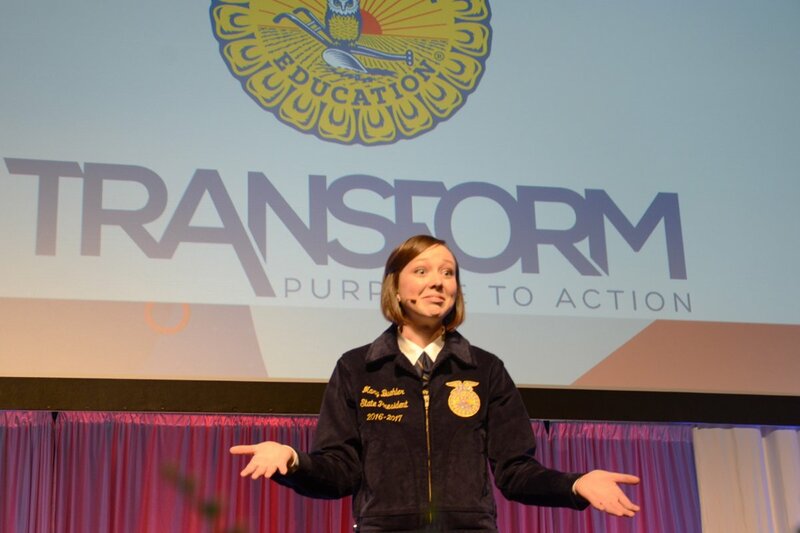 FFA members attended sessions on discovering their passions, making positive decisions, setting SMART goals and taking steps towards self-improvement. 360° – takes students full circle in terms of chapter leadership. The two-day 360° conference is focused on the importance of vision and how to become a visionary leader. For the past two years the Madison-Plains FFA Chapter has donated toys to children’s hospital. The previous year the chapter donated 110 toys to the hospital near christmas time. This year the goal was to donate at least 200 toys. The chapter went above and beyond to exceed this goal by donating 260 toys to the hospital this year. The chapter would like to thank its members for participating and giving the gift of a smile to those children who need it the most. The officer team has already set the goal to 300 toys for next year and encourages members to continue to support this great cause. 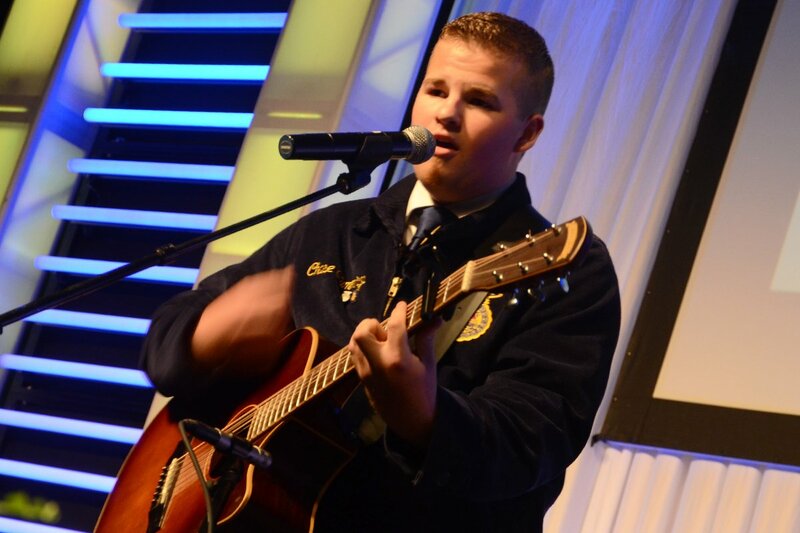 A $1,000 grant has been awarded to FFA member Shaeley Warner of Utica, OH by Caterpillar. Grant Requirement: For applicants from TX, CO, NE, KS, MO, IA, MN, ND, SD, OH, and KY who have or wish to begin an SAE in Beef Production. The SAE Grant is designed to help FFA members create and enhance their supervised agricultural experience (SAE), a requirement that all FFA members must compete. 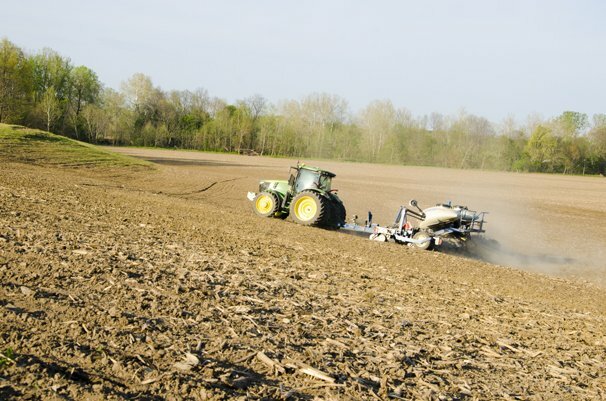 An SAE requires FFA members to create and operate an agriculture related business, work at an agriculture-related business or conduct an agricultural research experience. Upon completion, FFA members must submit a comprehensive report regarding their supervised agricultural experience (SAE). 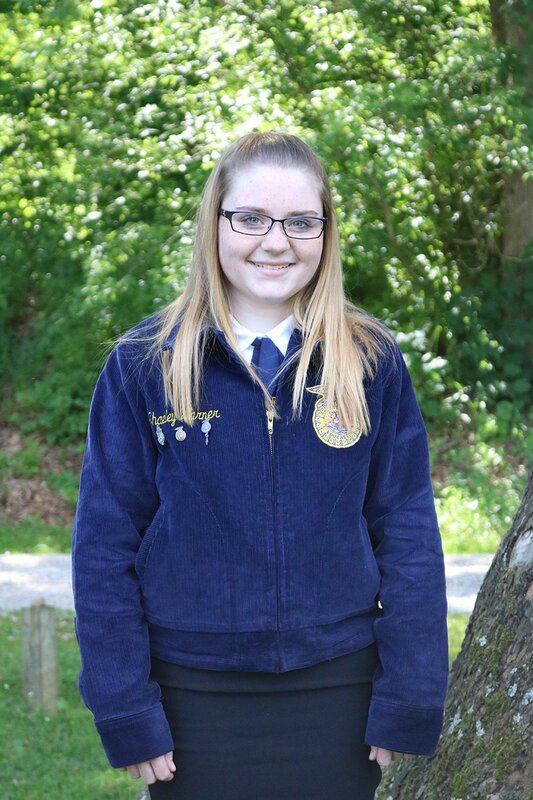 Shaeley Warner is a member of the Utica FFA Chapter of Utica, OH, and was selected from hundreds of applicants nationwide. She plans to use this grant to attend AI (Artificial Insemination) School, so that she can AI her own cattle and expand her cattle herd.